As a trade pro, you need to ensure that your clients get great flooring that they’ll enjoy for years to come (without wearing through it). You also need to align with your clients’ budgets. 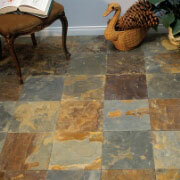 The good news is, there is a beautiful flooring option for any budget and any vision. The even better news is, ProSource® of Louisville has them all and is ready to help! 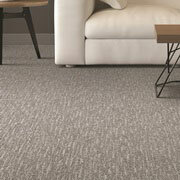 Carpeting offers texture, color, and comfort to any space. Making sure your client has carpet designed to stand up to the traffic level is important, but it’s also key to evaluate the feel of the room where the carpet will be installed. As a ProSource of Louisville trade pro, you have a dedicated account manager who will help you navigate the myriad of brands, including Dixie, Fabrica, Innovia, and more! 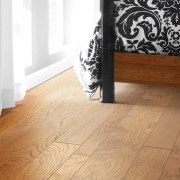 Hardwood is a truly classic floor material, and its warmth and beauty is hard to beat. It also comes in a huge variety of colors, sizes, shapes, and grains. Let our experts in Louisville take you and your client through your options and find the perfect fit! 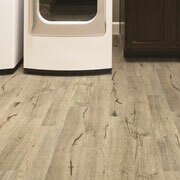 We love laminate because it provides the gorgeous effect of wood, stone, and tile for a fraction of the cost. It is also extremely durable and easy to install. As a ProSource of Louisville trade pro, you have access to our expertise as you and your clients navigate the world of possibilities. Visit our showroom in Louisville to get started! Tough yet beautiful, tile comes in a stunning array of textures, sizes, shapes, and colors. 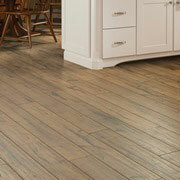 The sky’s truly the limit when it comes to designing floors with this classic material. Achieve the “wow!” factor your clients need with a visit to our showroom today! If you’re replacing old, tired flooring, vinyl is an amazing material that will refresh any room and keep it looking fresh for years to come. Much like laminate and tile, it offers a dazzling world of possibilities. Visit our showroom to learn more about the different types of vinyl and how they can enhance your remodeling project.